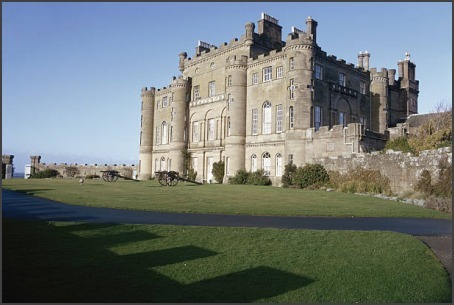 Legend has it that a piper and his dog once ventured into the caves below Scotlands Culzean Castle, determined to refute locals belief that the underground tunnels were haunted. As the pair entered the labyrinthine network, the piper started playing his bagpipes, sending the echo of its shrill wailsoccasionally punctuated by the dogs accompanying barksfrom the caves to the castle above. Soon, both bagpipes and barks fell eerily silent. Neither the piper nor his dog were ever seen againat least not alive. Stop by Culzean (pronounced cull-ane) on a stormy night, particularly one that coincides with when the castles one-time clan owners host a wedding, and you may just hear the pipers doleful last tune, simultaneously celebrating a descendants marriage and bemoaning its players fate. Read more from the Smithsonian Magazine.